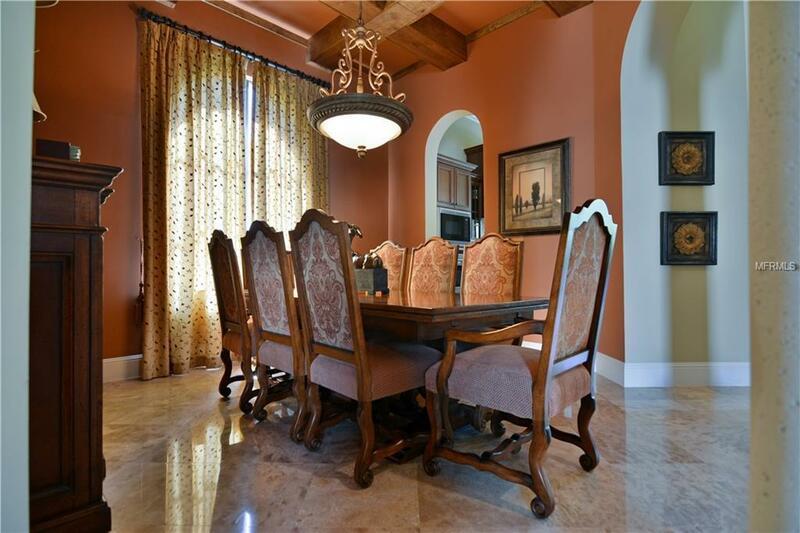 Exceptional water view estate home in the renowned Lake Nona Golf & Country Club community. Youll be impressed from the moment you arrive-attractive landscaping, tile roof, paver driveway and entry w/private front courtyard. Private office, half bath & formal dining room off entry. Your kitchen and living room front the lanai and beautiful views beyond. Gourmet kitchen boasts: gas cooktop, expansive breakfast bar, built in desk, eat-in nook with sweeping pool view, granite counters, and under cabinet lighting. Generous sized family room w/volume ceilings and direct access to lanai. Split bedroom plan w/master suite off living room ideal for privacy. Huge bedroom plenty of space for a seating area - w/pretty waterfront views and direct access to lanai. 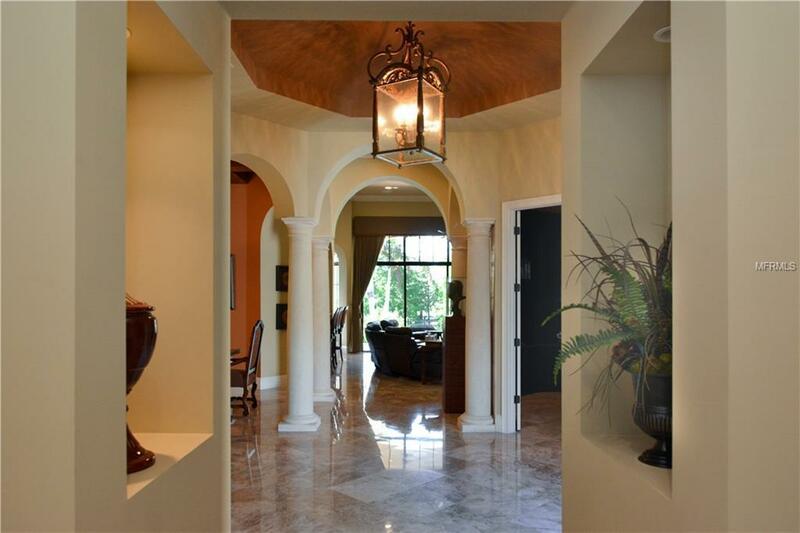 Private hallway leads to custom designed closets and impressive contemporary master bath. Remaining bedrooms each have their own full bath and walk-in closet. One reason youll want to own this home is all that you have out back. Covered paver lanai w/outdoor grill and gas fireplace overlooks your pristine pool/spa and lake. Beautifully landscaped all around-youll enjoy opportunities to relax or entertain in privacy. 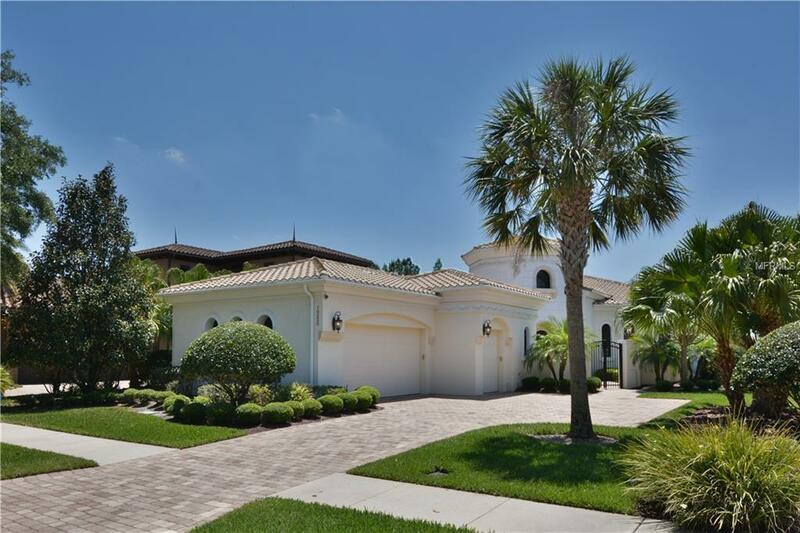 Lake Nona Golf & Country Club is a secure, gated community with a wonderful array of amenities: community pool, playground, tennis, golf, fitness, boating and more! Short drive to downtown Orlando, airport, area beaches and essential shopping. Come see all that this beautiful home and the community have to offer youll love living here!